FRIDAY, June 2, 2017 (HealthDay News) -- The changeable weather that many areas of the United States experiences may lead to a pollen "superburst" -- and for allergy sufferers that may mean misery, a sinus specialist cautions. "It promises to be a nasty spring," Dr. Jordan Josephson, from Lenox Hill Hospital in New York City, said in a hospital news release. Usually, pollens come in waves. First, trees, then weeds, then grasses. But this year, they may all hit around the same time, he said. About 60 million Americans suffer from pollen allergies. Symptoms can include nasal stuffiness and discharge, headaches, cough, sore throat, swollen glands, hoarseness, bad breath, mouth breathing, chapped lips, decreased sense of smell or taste, facial and dental pain, general fatigue, ear pressure, hearing loss and dizziness. It's important to deal with allergy symptoms immediately, Josephson said. Dr. Punita Ponda is an assistant chief in the division of allergy and immunology at Northwell Health in Great Neck, N.Y. She said it's important to get ahead of your allergies. "If you know from previous experience that you will suffer from springtime allergies, start your allergy medication at least one to two weeks before the season starts," Ponda advised. "Getting your medications into your system during that time will help protect you when the season hits. Stay on your medication through the season," she said. 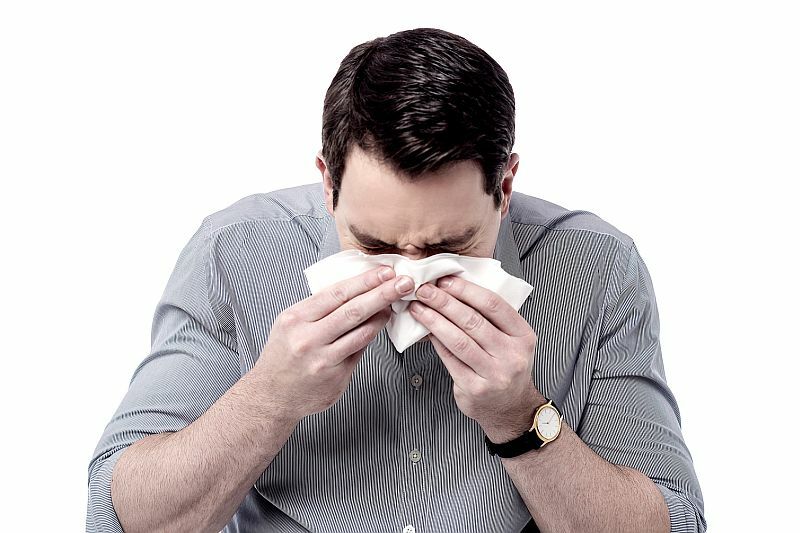 Both Ponda and Josephson had some additional tips for staying well through allergy season. Remain indoors as much as possible between 10 a.m. and 4 p.m. when pollen counts are highest. Take a shower after being outside to rid yourself of the pollen that may have attached to your skin and hair. As soon as you get home, take off your clothes and wash them immediately. Keep clothes that have been exposed to pollen separate from clean clothes. Keep your home's windows and doors closed and use air conditioning whenever possible because it cleans and dries the air. Make sure you change air-conditioning filters often. Consider using an air purifier, especially in your bedroom. To clear your sinuses of pollen, irrigate them every day when you return home with a netipot. Take antihistamines but try to avoid decongestants when possible, Josephson said.